You could do the new thing that parents seem to be doing. You could put your precious baby into a pumpkin. But that doesn’t seem the wisest, at least not with your little wiggler. She seems to be able to wiggle, and twist out of just about anything. And if you are not paying close attention she might just knock the pumpkin over, with herself inside! Yeah you want cute October baby photos, but you don’t want to put yourself through that kind of worry. You just want something to send to your family, to show off the cutest little girl in the whole wide world. In your imagination she will be smiling, her little chunky cheeks squished up as she looks at you. The camera clicks. That is all you want, not her on the ground with a knot on her head. 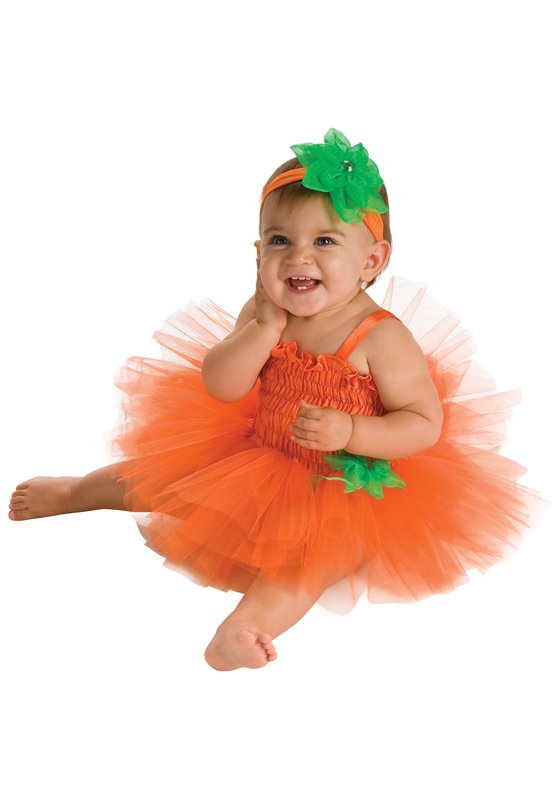 Why not put her in this cute Infant Pumpkin Tutu Dress instead of putting yourself and her through the torment of trying to get her wiggling limbs into a pumpkin instead. You can hire a photographer, or just take a million pictures of her on your phone, then send them out to all of your family and friends. She will be happy, that smile you imagine will actually light up her face when she can crawl around wearing a dress instead of a carved up pumpkin. And you can have the peace of mind that she won’t flip herself over in said pumpkin.